It's been a long time since I tried a jump rope or hula hoop. I didn't think there would be much technology could do to add features to these simple devices. Well I was wrong. 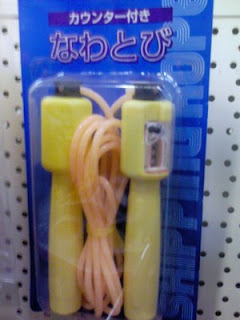 I found this jump rope with a counter. 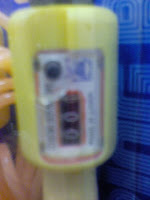 It has a counter attached to one of its handles and can increment from 000 to 999. Isn't that cool ? Now you would know how many repetitions you made. Cool ! ... Until I found out that the counter is manual. It displays the number of repetitions alright but you have to press the button each time for it to register. I don't think I'd be able to push the counter to increment when I'm tired.